Splatball has paintball locations all throughout the Twin Cities. There is nothing more thrilling than the sport of paintball. Paintball is highly competitive and fun for people of any age. It’s great for the act of sportsmanship it offers, as well as the general fun of the game itself. Paintball players often find that they are looking for a good venue to practice or play with friends. 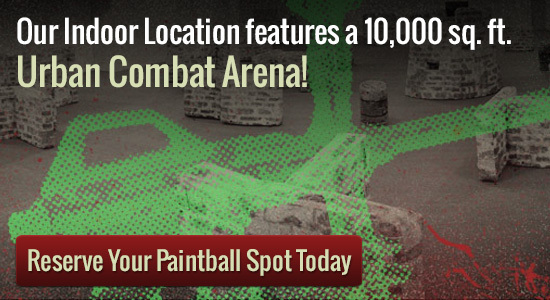 There’s no better place to plan your next paintball even than Splatball in Minneapolis, MN. Our Minneapolis inside place is within the cardiovascular system of the Dual Towns. It provides a 10,000 sq . ft . urban fight industry along with the biggest store/tech middle in Minnesota. The whole center is weather handled for max comfort. We even have an observation area and private party space. Regardless of whether you’re a paintball expert, or only want to program a thrilling gathering for the family and friends, Splatball is the only name in paintball you need to know. Contact Splatball now to save an industry. Splatball offers a lot more than your common paintball areas. This interior paintball park has offers these kinds of amenities as a spectator region and a party room. Splatball is ideal for the paintball aficionado and newcomer as well. The friendly and knowledgeable employees are really useful when you are ensuring that players have everything they require in the field. We offer leases of all equipment you’ll need, such as weapons and paintball ammo. You should contact Splatball to make a reservation if you’re planning an event. If you have eight players or less, you can also play through a walk in.